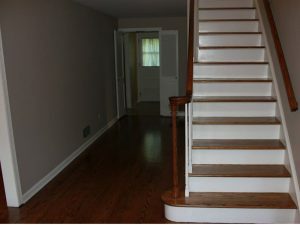 Remodeling a House in New Jersey? Call Monk's Today! Buying a House in Northern New Jersey? 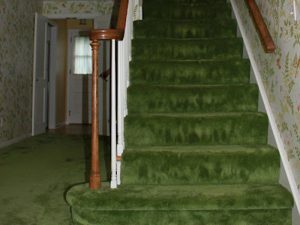 Monk's Home ImprovementsBuying a House in Northern New Jersey? They say the perfect home doesn’t exist, but if you can find the perfect location, Monk’s can take care of the rest. We can get your new house ready for you by move-in day so you can unpack and enjoy. Most new homeowners would like to change at least a couple of things about their new home. After all, people have different styles and color preferences. Oftentimes, new homeowners want to remove dated wallpaper and repaint a few rooms to colors that suit them. Additionally, those sought-after hardwood floors sometimes need to be uncovered and refinished. Then there are the bigger projects like kitchen and bathroom remodels. Many people will tell you to live in the home before making any big changes like these. That way you can get a better sense of what works and what doesn’t for your family. 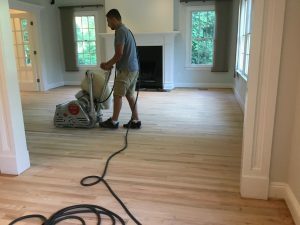 Since you need to empty rooms to refinish hardwood floors and paint, getting this work done before you move in makes so much sense. Once you are under contract, we can provide you with a free, written estimate for any work you are interested in having done. Most painting, carpentry, and flooring projects can be completed within a week. This means that we can start work the day you close on your house and complete the projects before your scheduled move. You select your colors and stain, and we do the rest. See how we helped these Madison, NJ homeowners before they moved to their new home. When you decide to have Monk’s perform your work, your Estimator will coordinate and schedule his crews. We have painting crews, carpentry crews, flooring crews and remodeling crews. So if you decide to do floor refinishing and interior painting, you will have two separate specialist crews working on your home. We will coordinate their time to maximize efficiency and prevent any interference. We’ve been working in Morris County, NJ since 2007. We’ve grown slowly and expanded our services and service area. We pride ourselves on customer service and repeat business is the lifeblood of our company. You can read what our customers have to say about us on independent, third-party sites. For more examples of our work, see our Project Gallery. We also have a Kitchen & Design Studio located in Morristown, NJ where a team of Designers and Window & Door Specialists are available to help you with all aspects of your home remodeling project. We’ll design your layout and help you select and coordinate all your materials. Our design services are always free and you are never under any obligation. To meet with an Estimator to discuss your projects, call 973-635-7900 and schedule a free estimate today!